The year 1895 can be regarded as the breakthrough of projected cinematographic motion pictures. It all began with the public screening of Lumière brothers’ short films in Paris. The Lumière brothers were among the first film makers in history, the Inventors of the motion picture. But in Hollywood, it all began in the year 1910 when David Wark Griffith, was the first to make a motion picture, a short film titled "In Old California." As far as Indian Cinema is concerned, Raja Harishchandra was the first silent feature film released in the year 1913 in the city of Bombay (Mumbai) and the first Indian sound film was released in 1931. Indian film industry is the largest in the world. It releases 1000 plus movies annually. Most films are made in South Indian languages be it Tamil, Telugu, Malayalam and even in Kanada languages but nevertheless, Hindi films take the largest box office share. India has 12,000 plus cinema halls. Hindi Cinema often referred to as Bollywood is based in the city of Bombay (Mumbai.) The naming scheme for Bollywood was inspired by Tollywood, the name that was used to refer to the Indian Bengali Cinema based in Tollygunge in the city of Calcutta (Kolkata.) This coining of the word Tollywood established a precedent for other film industries to use similar-sounding names, eventually leading to the coining of Bollywood. Tollywood is now also popularly used to refer to the Telugu film industry based in Telangana and Andhra Pradesh and Mollywood refers to the Malayalam Cinema. Similarly, the Punjabi language film industry in the Indian state of the Punjab is referred to as Pollywood. Not only the Indian Cinema but some of the other world Cinemas copied this trend. The film making industry based in Lahore, Pakistan is known as Lollywood and the film industry of Nigeria is referred to as Nollywood. For Indians, Bollywood is just more than movies. It’s an emotion that lives within them, it is the form of expression and they certainly love it more than anything else in the world, but let’s not be mistaken that Indians are the only ones to love mainstream Hindi cinema. Bollywood is loved by people across the globe and the craze for Bollywood stretches from China, Taiwan, Pakistan, Afghanistan, Egypt, Nigeria to Poland, Germany and Peru. American Actor Brad Pitt once admitted in an interview that he would love to work in a Bollywood film as there is so much drama and color in the films there. It was in the year 2008, the Hindi movie Singh is King, which starred Actor Akshay Kumar as the leading Sikh character, was released. The film was a huge box office success. Pre-2008, Sikh characters in the Indian Cinema was shown in a comical way. But Post-2008, many Bollywood Actors have donned the Sikh Turban and were shown in leading mainstream character roles. Not only Bollywood but the regional Indian Cinema as well tried to show Sikh characters in a positive and sensible way. The Malayalam Cinema released a movie named Mallu Singh in the year 2012 showcasing Sikh characters in leading roles. This all changed in the year 2016, when the Superstar of the Punjabi Cinema and heart-throb, Turbaned Diljit Dosanjh made his Bollywood debut with Udta Punjab for which he earned the Filmfare Award for Best Male Debut. Diljit Dosanjh was successful in delivering a hard-hitting performance. Ever since Diljit Dosanjh made his debut in Bollywood, there is a sense of pride amongst the Punjabi Sikh youth. Diljit represents them in the Hindi Cinema. There is even a craze amongst the non-Punjabis too. Non-Punjabis love to watch D.D. because film stars fascinate people. Hindi Cinema is a powerful medium which can change the perception of non-Sikhs towards Sikhs. When a non-Indians watch a turbaned Sikh male in a Hindi movie, there is a possibility that till that day they had been unaware of who Sikhs are, but the moment they see a turbaned Sikh guy in a mainstream role, it is quite obvious that curiosity will arise to know more about that turbaned person. 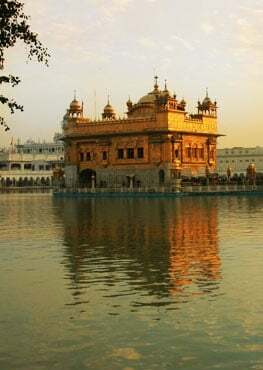 This will lead them to gather more information about the actor and hence learn more about Sikhs and Sikhism. The next time they see a Turbaned Sikh male walking down the street, they will remember the Turbaned Sikh male of the Hindi movie they watched the other day. I am quite sure that they won’t mistake the Sikh male on the street to be a terrorist. I believe Hindi Cinema, which has world-wide fan base, is the best platform to let the world know Sikh Identity. If one Turbaned Diljit Dosanjh is successful in changing the perception of the non-Sikhs towards the Sikh community in a big way, then I am sure if turbaned Sabat Soorat Sikh men are introduced more and more in the Hindi Cinema, they can make a huge impact on this world. If there can be so many Kapoors and Kumars in the Hindi Cinema why not Singhs?